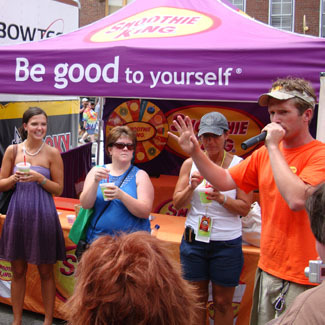 Obtain maximum Smoothie King® brand exposure and create a campaign with a call-to-action that drives traffic back to store locations. 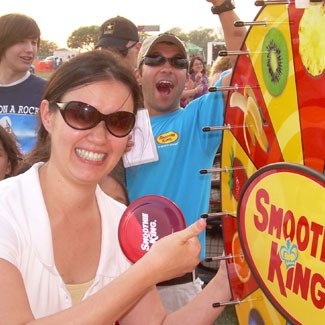 We started by developing a grass roots sampling campaign for Smoothie King® that would feature a high-impact, customized, mobile smoothie kitchen. The next step was figuring out where the mobile kitchen would travel to. 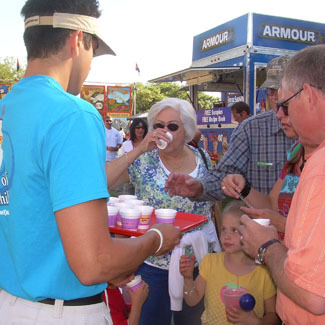 With a full-time, fully trained team of field managers, put together by ZAG large, consumer-connected events in key franchise markets were targeted. This is where the Smoothie King For Life Program Mobile Tour was born. The entire event experience space totaled 60’ x 20’ and included engaging games, contests, music, giveaways and a product education center where guests can get more information. Freshly made smoothies were made on site for attendees to try and they were also offered buy-one-get-one coupons to drive them back to the store, an effective call-to-action branding solution that proved to work.